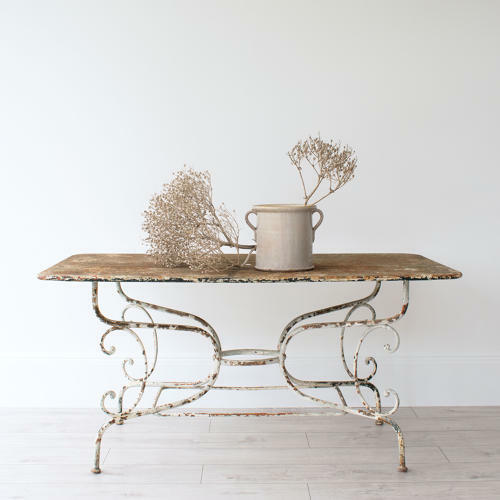 A rare antique metal garden table of grand proportions with decorative base and retaining traces of its original painted finish. Would make a magnificent console table, or perfect in an orangery or garden setting. French circa 1890.